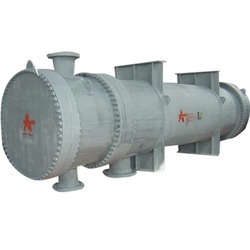 Manufacturer of a wide range of products which include water air heat exchanger, stainless steel heat exchanger, heat exchanger, gas chiller, inconel heat exchanger and heat transfer equipment. 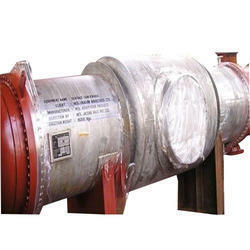 We are a renowned name, which is engaged in offering Water Air Heat Exchanger to respectable clients. The offered range is manufactured utilizing premium grade raw material and innovative technology in complete adherence with the industry laid norms and standards. In addition to this, the offered range is checked on different characteristics to maintain its authenticity throughout the designing process. Owing to the immense experience and a competent team of experts, we are able to offer Stainless Steel Heat Exchanger to respectable clients. 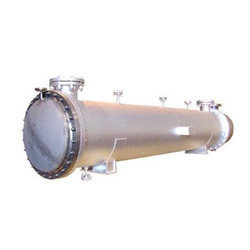 These stainless steel heat exchangers offered by us are made utilizing high grade raw material, which is sourced from trustworthy vendors of the market. In addition to this, the offered range of stainless steel heat exchangers is suitably checked on different parameters to ensure its adherence with the international quality norms and standards. 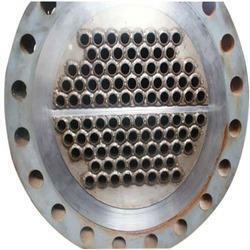 Backed by the rich experience and a competent team of professionals, we are able to offer Heat Exchanger. The offered range of heat exchangers is suitably inspected in varied characteristics to ensure its adherence with the highest quality norms and standards. Along with this, the offered range of heat exchangers is available in different designs, shapes and sizes in accordance with the diverse requirements of esteemed clients. With the aid of latest machinery and advanced technology, we have been able to offer high quality Gas Chiller to our valuable customers. Known for their easy operation and longer serving life, these water chillers are highly demanded in the market. By using rigorous procedures, the optimum quality of the offered water chillers is never compromised. Inconel Heat Exchanger for Nuclear Power Corporation of India Ltd (NPCIL) manufactured by us as a part of the complete heat exchanger. The photo shows the pre-assembly stage of the bundle before it was inserted in the main shell assembly. 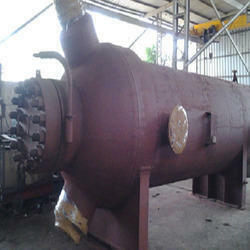 The tube side test pressure is 194 kg/cm2 and the tubes are having 62-65% Nickel Content as per SB 163 UNS N 06690 Grade. Tubes were imported by us from M/s. Special Metals UK, under Lloyds’ inspection and were U-Bent, hydro and UT tested in India under NPCIL inspection by us. Being a customer focused organization, we are engaged in offering a qualitative range of Heat Transfer Equipment. Offered range of heat transfer equipment is manufactured by our expert professionals using premium quality raw material, which is sourced from the certified vendors of the market. Offered heat transfer equipment are widely known for their mechanical & thermal designs. 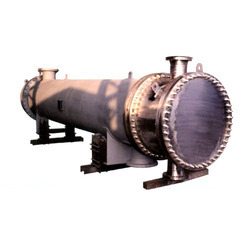 We manufacture Shell Tube Heat Exchanger as per TEMA and ASME Codes in various materials of construction like low alloy steel, carbon steel, stainless steel, nickel alloys, titanium, duplex stainless steel, aluminum, non-ferrous construction etc. Aerotherm Manufactures Custom designed and specialized Shell and Tube Heat Exchangers. 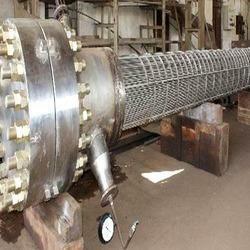 We have HTRI & PV Elite for Thermal and Mechanical designing of Shell and Tube Heat Exchangers. Backed by a vast industry experience, we are offering Process Heat Exchanger made by using the highest-grade special alloys, such as monel, Inconel, incoloy, Hastelloy, stainless steel, duplex stainless steel, and many more. We procure these from the most reputed vendors of the domain. 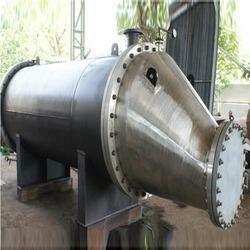 These are used extensively for transferring heat without a change of phase, such as fluids, gases, steam, or vapors. These offer effective heat recovery. We have the required process technology and advanced facility supported by qualified ASME welders to offer satisfactory and flawless Heat Exchangers to our valued clients at industry leading rates.